Sure to surface during the holiday shopping season are unique gifts for very specific niche groups. Those familiar with custom tensioned fabric architecture (or really any form of architecture) will also be equally familiar with Engineer Drawings. 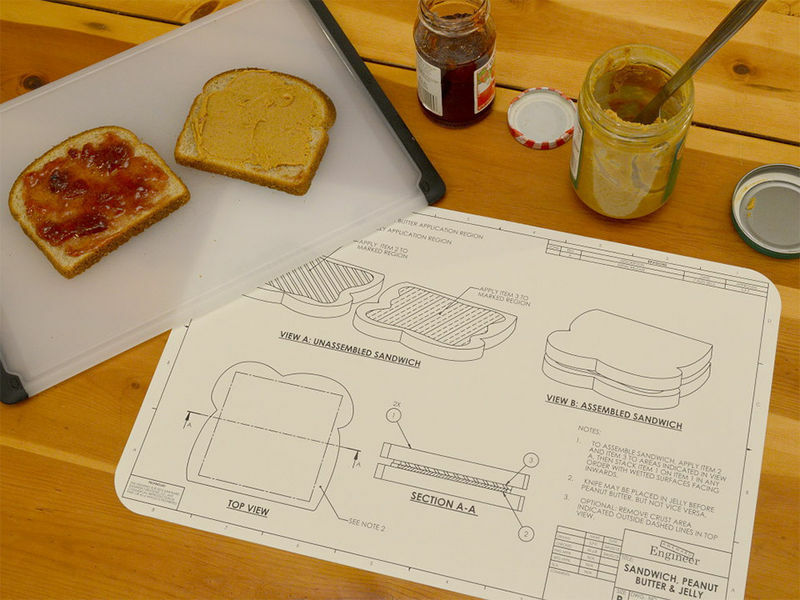 I saw this concept and had to share…taking two everyday things as familiar as CAD drawings and PB & J sandwiches and mingling them in a refreshing way.